Since Reverend Moon’s death last month, I have learned that the “True Family” held even more secrets than I imagined. Although I parted ways with the Unification Church many years ago, I am still intrigued by the Church's myths. Public figures are entitled to protect their secrets. But when they espouse the values of purity and eternal monogamy between couples, people can’t help but be curious to hear that these people don’t live by the values they require of others. 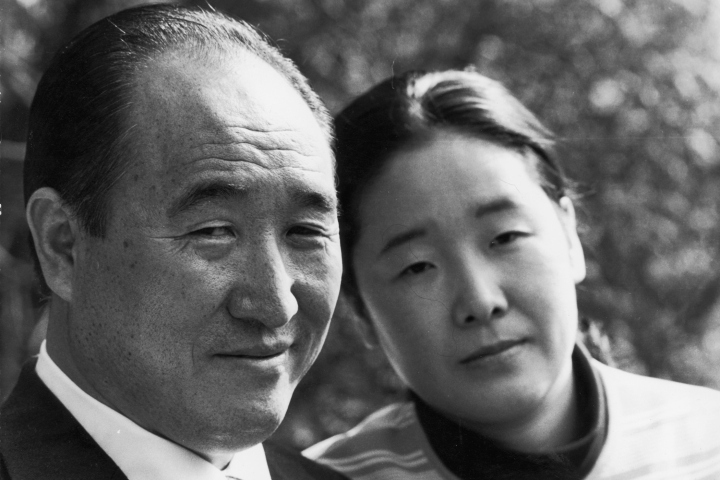 The Unification Church's explanation is that when Reverend Moon's family members don't follow the rules of their own theology, it is either because of God’s will or because the church membership has failed to support them adequately. There are sites that specialize in exposing the secrets of the Unification Church, such as How Well do you Know Your Moon, and Frequently Asked Questions to Share, but—unless I speak to those involved—I'll leave the commentary to those who have. There was a recent (three hours long) question and answer session with Hyung Jin Moon, the new leader of the Church in which many of the allegations were discussed. I learned about the secrecy of the Church early on. In the week prior to joining the Unification Church, while studying their theology in the Principle Study Center in London, the identity of the organization was not revealed to me until after I decided to join. When I went out raising funds for the church, I was asked never to mention the Unification Church and instead say I was raising money for “relief work.” I didn't always follow this advice, and in one of my reckless moments, I went up to Janet Street Porter in Heathrow Airport and asked if she would like to give me some money for the Moonies. “No, I would not,” was her disgusted reply. When I started witnessing for the Unification Church, I was told never to mention the organization until necessary. My first student of the theology, a towering young Scotsman, insisted on knowing who we were. When I told him, he ripped the front pages out of our guest book and stormed away, copper hair flaring in the cold sunlight. We all have secrets. In writing my memoir, Holy Candy, I decided what to disclose simply by thinking about how it would feel to say something. If it felt bad, I didn’t do it. If it felt like relief, I went ahead. Sharing a secret can make one feel more detached from it, as if it were part of a story that one no longer has to be a part of. Making stories of our lives closes certain chapters, making space for the new. The epic tale of Reverend Moon’s life—at least in the physical realm—has come to an end, but the tales that will be spun from his empire continue to evolve. I look forward to learning what the next episode will be in the life of the Unification Church that he created.